Many voices and we use all our words. Our longest episode ever but we cover lots of topics. GoJetsGo! A little bit of everything. First impressions of the new guys, recent play thoughts, whats upcoming, some thoughts on potential playoff match-ups and maybe an appearance by Barack Obama at the end? Leah joins Alistair for a very pleasant chat about broadcasting, hockey and their intersection for her. Enjoy! Ryan, Chris, Mike, Ali and AJ are back for another long awaited roundtable. Covering the teams current slide and the upcoming trade deadline. Episode 37 - Roundtable - Hello 2019! The gang is back! Ryan, AJ and Chris recap the first week of 2019 and talk about every topic you’ve ever cared about, ever. AJ, Daniel, Ryan and Katie chat for an hour about the last few games and everything else we could think of. Enjoy. AJ talks with Ken Wiebe of the Winnipeg Sun about his sports media upbringing and Daniel chats with Andrew Berkshire of the Winnipeg Free Press. AJ, Ryan Faith and Paul Quaye talk about the week that was and future roster moves that they would like to see. Ryan, Daniel, Brian, Katie and Alistair chat about the week behind us and the state of the team thus far and moving forward. 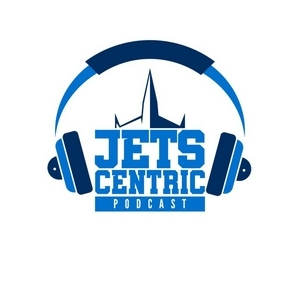 Recorded live at Santa Lucia pizza, Rodell and Hustler talk media and Jets. Get to know the man behind the voice. Ryan talks with Murat and Katie about the season previous, current and what to expect ahead. Ryan and Glen chat about the 5-2 win over Colorado. Ryan, Ali and Glen chat about Jets @ Red Wings and the 2-1 win.